CHICAGO – It’s week three of Season Eight of Chicago’s Asian Pop-Up Cinema (APUC), featuring films from Taiwan. 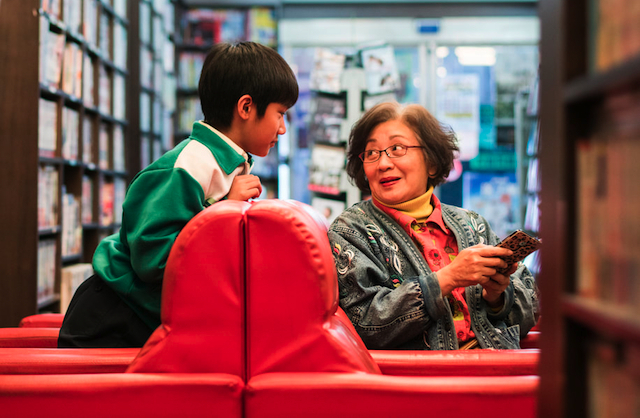 On Wednesday, March 27th, 2019, APUC will screen “Sen Sen,” an emotional film about death, dying and celebrating life, featuring the legendary Hong Kong actress Nina Paw Hee-ching. Director Bon An and Paw Hee-ching will appear on behalf of the film – and Patrick McDonald of HollywoodChicago.com will moderate the Q&A – at AMC River East 21 in the city. For more details and tickets, click here. The film features Paw Hee-ching as Granny, an eccentric-but-lovable cab driver who finds out her lung cancer has advanced, giving her “100 days to live.” An oddball video podcast (vodcast) she’d been doing suddenly has a new meaning, as she begins to try things in her 100 days that she’d never done before, and of course the vodcast goes viral. At the same time, a boy named Sen (Zhi-Xuan Wu) is trying to figure out the meaning in the deaths of both his father and brother. His brother’s old phone has Granny’s vodcast links, and this becomes the key to both their destinies when they meet up. With loss in everyone’s life, this film has universal themes of living life to the fullest, and healing for those left behind after the death of a loved one. On the day before the screening of “Sen Sen,” the same day Nina Paw Hee-ching will received a Career Achievement Award from APUC, Patrick McDonald of HollywoodChicago.com sat down for an interview (through an interpreter) with the Hong Kong acting legend. HollywoodChicago.com: What did you love most about the character of Granny? Where do you think her life and your life connected most closely? 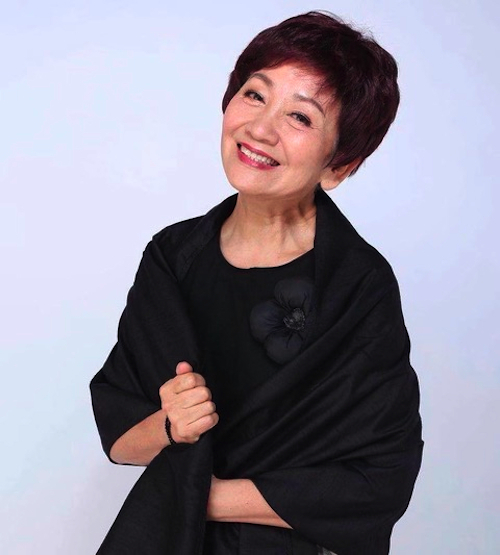 Nina Paw Hee-Ching: There are many similarities to the character in my life, I have two grandchildren, so I am also a Granny. [laughs] In creating the character, I took an optimistic approach, even as she hears the news of her last 100 days. HollywoodChicago.com: Would that be how you would spend your last days? Paw Hee-Ching: To be honest, I think before I took on this character my view of this kind of situation would have been different. But the character of Granny did inspire me to an extent, because like her I only have one daughter. I face aging as well, and everybody has to face death one day. I want to live the fullest life I can, like Granny, and not burden my loved ones. HollywoodChicago.com: There is a very poignant scene when Granny figures out something about the relationship with her daughter and herself at the same time. How did you work with Bon An to get that key scene right, or did you have the right idea all along when you shot that speech? Paw Hee-Ching: The speech you’re referring to was very well written, so much of my work was already on the page. As a mother myself, I’m was always trying to give direction and guidance to my daughter. In the speech, Granny is sort of flipping that notion, and she is seeking guidance from her daughter, in a spiritual sense. HollywoodChicago.com: Your young co-star Zhi-Xuan Wu seemed to have a natural chemistry with you. What is the best technique you’ve learned in putting a child actor at ease when you’re working with them, and what do you think is the best way to get a great performance out of them? HollywoodChicago.com: Did you research the attitudes or persons who are told they have only a short time to live, and how in contrast did Granny challenge that attitude? Paw Hee-Ching: Well, the one thing I will say is that grannies in similar situations as the character would not generally act like her at all. They are not that open. I know many elderly people, and I see the changes in their personalities as they get older. In Chinese culture, they avoid talking about death, it’s very spooky for them. But one of the great things about the movie is that it is challenging that fear of death, because everyone has to face it. There was a premiere in Hong Kong, and many elderly people came up to me afterward and said they learned from the film, and how to face that time of their life. HollywoodChicago.com: This film was also about the people that are left behind to carry on after someone dies. In your experience with that loss in your life, what is the best way to remember somebody and allow them to keep inspiring you? Paw Hee-Ching: We should keep learning from them as if they were still alive, and tap into the strengths that they contributed. My father gave his whole career to the movies, so of course I learned from that, but in contrast my mother-in-law was a housekeeper, but the core that held her family together, and I learned from that contribution. As a professional actor, I can tap into those different strengths, and collect from them all those good qualities, while I’m still alive. HollywoodChicago.com: Your parents were both film actors, and your brother is a famous cinematographer. How has being in the entertainment business made your family dynamic different from other people’s families, in your observation? Paw Hee-Ching: As I was growing up, it was all movies all the time in my family, and there were always actors, directors and writers around all the time. Their personalities are very sensitive, and they reflect that era of movies in the stories they told. The biggest characteristic I had as a child, in contrast to other families, was a maturity that was influenced by my surroundings. HollywoodChicago.com: Today you will be honored with a Career Achievement Award. If you could go back in time and talk to your younger self as you were starting in movies, what advice would you give her, and what would you tell her the best thing in her life will be? Paw Hee-Ching: I would tell her that nothing will come to her if she isn’t prepared, and to have passion about her career. The path is never completely smooth … I would tell her that there will be criticism and discouragement, but at the same time there will be high praise, but you can’t let that get you too high. It’s all part of being prepared and loving your career, and being persistent. And because of that persistence, the best thing about this career is that I’m here today. Season Eight of the Asian Pop-Up Cinema continues with “Sen Sen” on March 27th, 2019 (7pm), at the AMC River East 21, 322 East Illinois Street, Chicago. Director Bon An and Actress Nina Paw Hee-ching will make an appearance on behalf of the film, with a Q&A moderated by Patrick McDonald of HollywoodChicago.com. For a complete overview on Chicago’s Asian Pop-Up Cinema Season Eight, click here.